Emojis are a great boon to text communication. Subtle emotional messages that in person we might convey by gestures, facial expression, or tone of voice can be conveniently summed up with tiny cartoon faces. But different platforms display the same emoji specification in different ways. You might think you’re saying “This is awkward…” while your friend is getting “I am shocked and appalled!” That can lead to all kinds of misunderstanding. 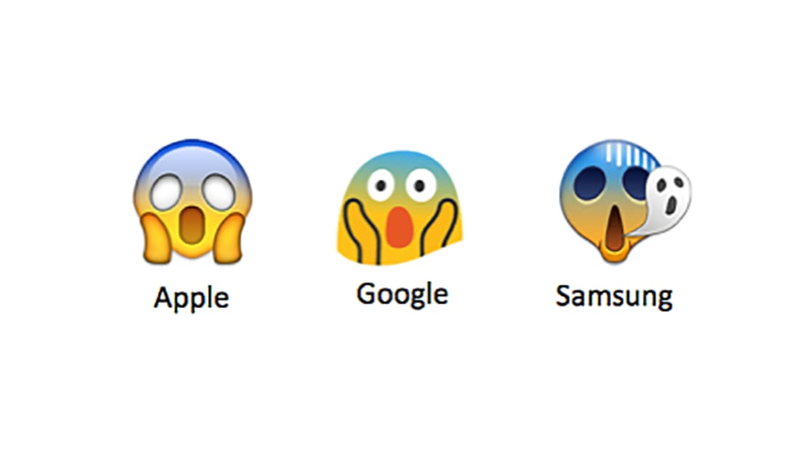 To help you navigate these potentially dangerous cross-platform social interactions, here are nine emoji (referred to by their programming code names) that come out with important differences on Apple (iOS 9.1), Google (Android 5), and Samsung (Galaxy S5). Check the platform differences for all the emojis at Emojipedia.